Another interesting discovery comes out of the benchmark zone. 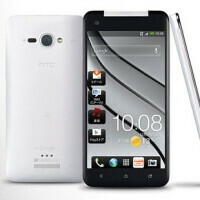 It's the purported sequel to the HTC Butterfly, better known in the USA as the Verizon-exclusive HTC Droid DNA. Looking at the leaked spec sheet, it seems this phone will finally answer the prayers of those of you who have a beef with HTC's UltraPixel camera technology. The so-called HTC 0PAJ3 features a 1080p display, the Qualcomm Snapdragon 801 CPU clocked at 2.3Ghz, an Adreno 330 GPU, 2GB RAM, 16GB storage, a 13MP rear camera, and a 5MP front camera. The phone runs Android 4.4.2.